This llama is not only a large, green and crazy original decoration object, it is also a huge money box. Put some euros in your favourite pet every day, and when it's full, a MEGA treat will undoubtedly be waiting for you. A smiling golden dwarf, but with 1 dirty black finger... Bet he'll be everyone's close friend in the house? 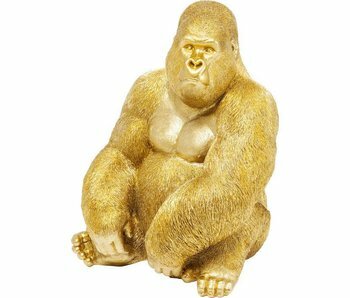 A primate as a decorative, lifelike friend. 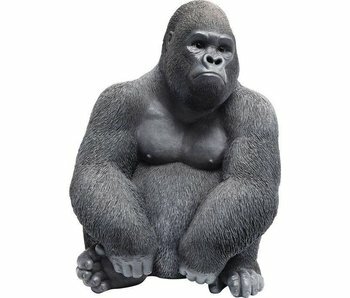 This peaceful gorilla seems amazingly real and will not let anything pass unnoticed with his watchful gaze. This unusual decorative object will impress everyone. One of the most dangerous side tables ever designed! This brown bear looks closely at every visitor, but likes to serve a drink. The craziest side table ever made! This dog may get cramps in his arms, but he cannot be ignored by anyone. One of the nicest side tables ever designed! This polar bear cannot be ignored by anyone. He will cause a smile on the face of every visitor.